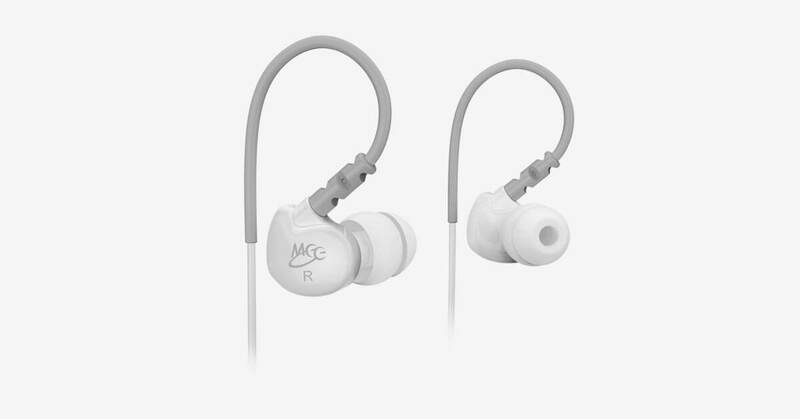 I was on the search for inexpensive in-ear monitors to purchase for my worship team. We were making the transition from traditional monitor wedges to in-ears and I didn’t have a huge budget to work with. Then I found this post by ChurchMediaDesign.tv: Low Cost In-ear Monitors. I was a bit skeptical about how inexpensive these headphones were, but decided it was at least worth giving them a shot. So, I bought a pair to try out…and was pleasantly surprised. They come with several different ear tips, ensuring that you get both comfort and proper noise isolation. The lows are impressive, but the highs are somewhat harsh. However, for the price, you can’t beat it. Even if you don’t use them all the time, they are handy to have on hand for guest musicians or worship team members that forget to bring their headphones. So, what are you waiting for? Order a pair now and try them out for yourself. We are a small Church and due to our stage setup have real loud issues so I have been thinking as our Worship leader maybe in ears will help but not sure how it all works. These one here are just a single sore like either mic or guitar you are playing? How do go about using in ears bur getting the select band members you want into them like a floor wedge. I guess a say as lead vocal and guitar as having maybe keys etc. Hey Dean – thanks for the comment. Following is an explanation on how the in-ear system works when setting up like in the ChurchMediaDesign.tv post. Basically, you take the same signal you are sending to your current floor wedges and plug it into a headphone pre-amp instead. If you use the Rolls headphone pre-amp, you can also plug your instrument into it and then loop back to the sound board. This enables you to control the volume for both the monitor mix and your specific instrument. In essence, everyone shares the same monitor mix, but with the Rolls, everyone is able to turn themselves up over the mix in their ears only to make it more personal. I’m wanting in-ears for my guitar because I can’t hear with everyone else on stage. My church doesn’t have a wireless system and saw this video. Would your headphone cable go from your ear all the way down to the floor? Wouldn’t that be hard to move around on the stage? Hey Steven – thanks for the comment. My guitar players simply tie together their headphone extension cable with the instrument cable that plugs into their guitar. This makes it appear like you only have one cable and allows you to move around just like you did before. I recommend using electrical tape to join the two cables together. Hope this helps!